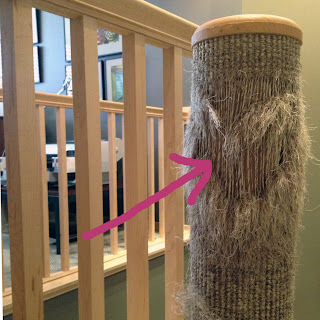 Our best scratching post was covered with a remnant of carpeting Dad got from a carpet store. That was before my time,though. Maybe Gloman is handy with a staple gun? Or ya could just reupholster the one you got! 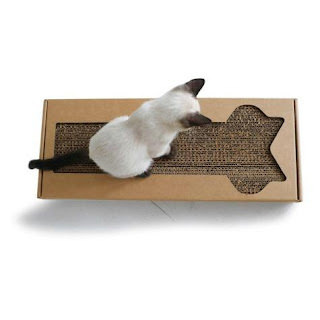 Topaz uses the flat cardboard scratchers and not only does she flip them out of the box, but she also shreds them. There's one in pieces on my living room floor right now. Wow, you sure got your use out of that post! I dont know if you're looking for suggestions, but you could try wrapping sisal rope around it and securing it with glue gun glue? Or write to Sandy Paws! Hey Supermodel Katie! The best type are the upright tower ones. I've worn out 2 of them and I'm working on the third. I don't like the cardboard. 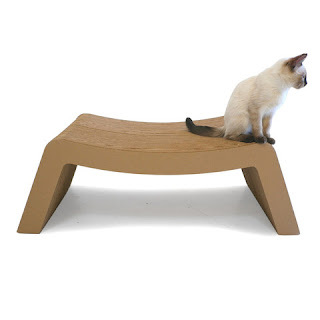 Really, do you want something made from cardboard that cots $50 or more. this is my favorite one. http://www.drsfostersmith.com/product/prod_display.cfm?c=3261+20831+10290&pcatid=10290 You can find it cheaper elsewhere. 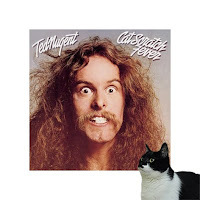 BTW, cats scratch when they're excited, which is why I always scratch right before TW plays with me. Well Katie, if you had unresolved anger issues, they must be resolved by now, judging by the scratch port relic! 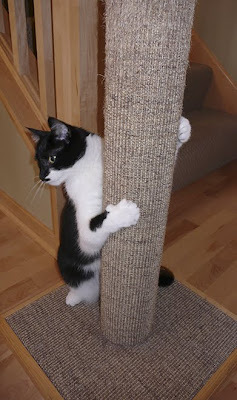 We have a scratching post that Mom bought a squillion years ago that we love and it's held up really well. We think sisal is our favorite and really durable. Glogirly can make one! All you need is lumber, sisal rope, and gloves for winding...we love the ones Daddy has made for us and they wear like IRON. email Mommy if you want details. 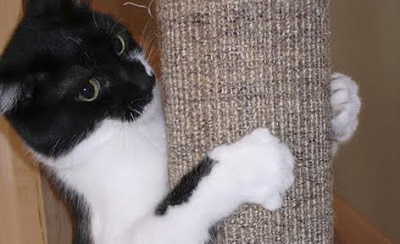 We need a new scratching post too - our cat tree is shredded! 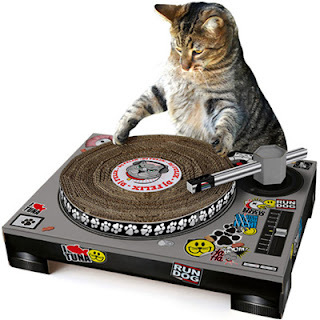 Bummer that the DJ scratcher is out of stock. I am trying to talk my human into the canine scratcher, but she thinks that the dog here might get an even bigger inferiority complex than she already has. We think you should get one of each! 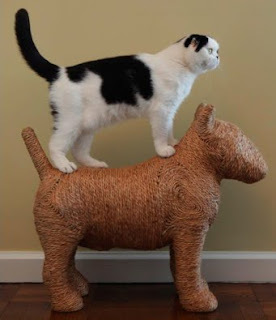 We have a Purrfect post, too! Ours still looks brand new all these years later... I thought they were indestructible!